For the past 2 weeks my skin has been breaking out. I blame it on the ever changing weather here in NYC (one day it's 50 degrees, the next day it's snowing 3-5 inches!). To minimize and prevent more breakouts, I decided to try a BB cream since it provides foundation coverage with skincare benefits. 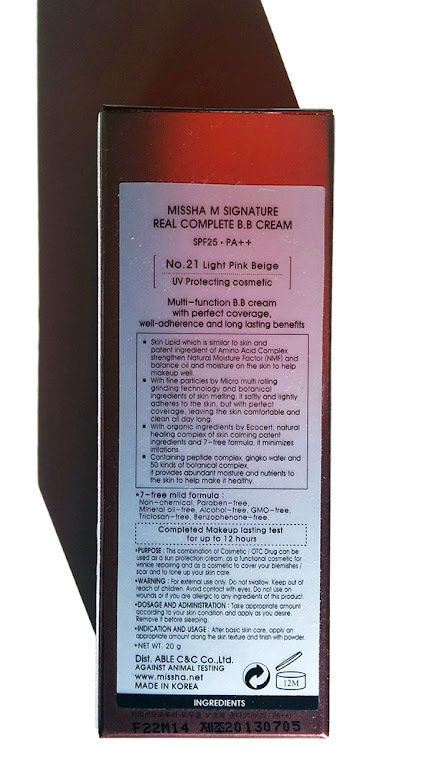 The Signature Real Complete BB Cream from Missha claims to even treat blemishes which is exactly the type of BB cream I was searching for, but did it live up to its claims? First, I have to mention that may look like it's the perfect match on my hand, but on my face it's actually slightly too gray. 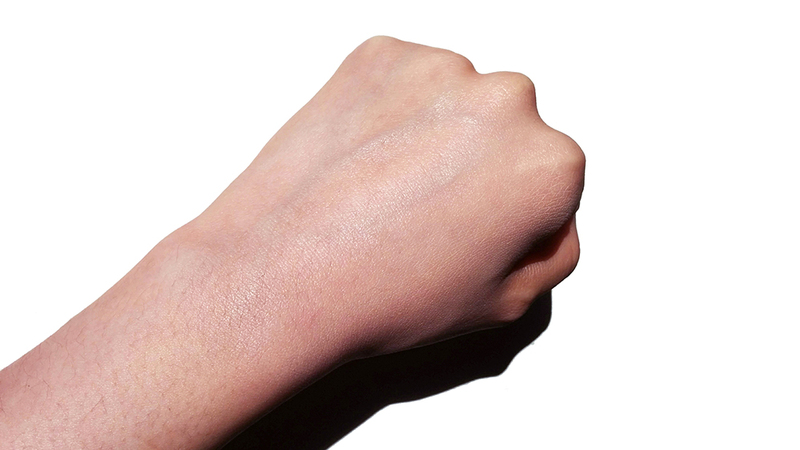 BB Creams are notorious for having a "gray cast" that makes you look literally whiter and slightly gray-toned. It's worth mentioning that this BB cream is no exception to the slight gray cast most BB creams suffer from, even despite the shade being called "Light Pink Beige." 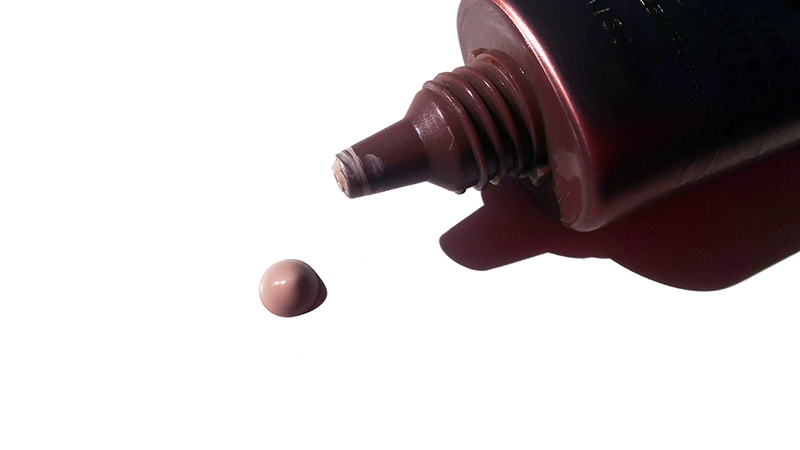 I personally don't like that look as I like my foundations to be a perfect match. The Signature Real Complete BB Cream doesn't look outrageously gray on my face, but since I am my biggest critic, I can see the subtle difference. Besides the gray-cast, it actually feels great on the skin. 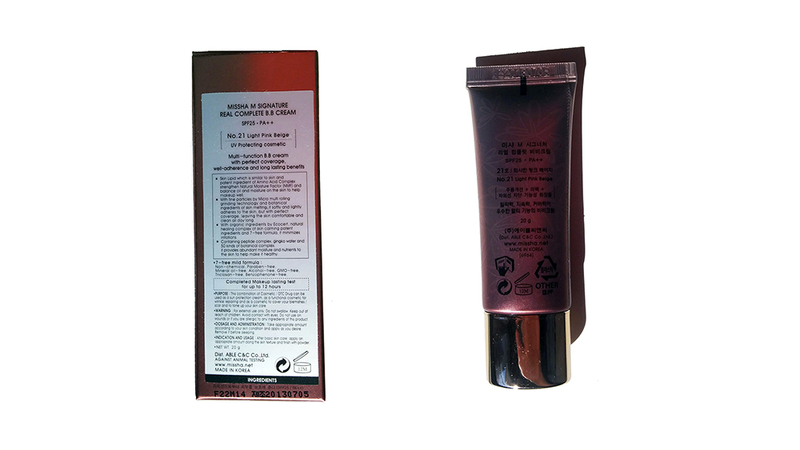 The BB cream is light to medium in coverage, and dries in a satin finish so it's not dewy or matte on the skin. You can very easily build up coverage over any trouble areas. 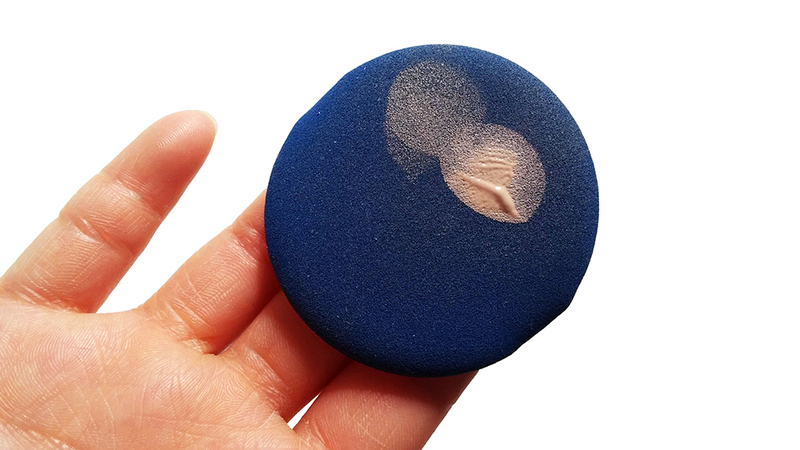 I bought an air-cushion puff to apply this BB cream with, and I have such an easy time spreading it evenly over my face. You barely waste any product if you use the sponge because the sponge doesn't soak up much of the product. I can tell the BB cream is pretty hydrating on my skin, and when I take it off my skin feels more moisturized than compared to when I take off a traditional foundation. I'm not sure if it treated my blemishes (I have my own army of products to tackle my acne), but it didn't make me breakout which is more important in a foundation for me personally. For wear time, it does not last 12 hours - at least not on combination to oily skin. I would say I got a good 5-6 hours wear time out of this BB cream before it started creasing and looking worn. Perhaps you can powder (I personally don't like to powder my face) and you can probably get a couple more hours worth of wear time. I do think this BB cream will wear longer on drier skin. I think the Signature Real Complete cream is perfect for those who like light coverage from their BB creams rather than full coverage. 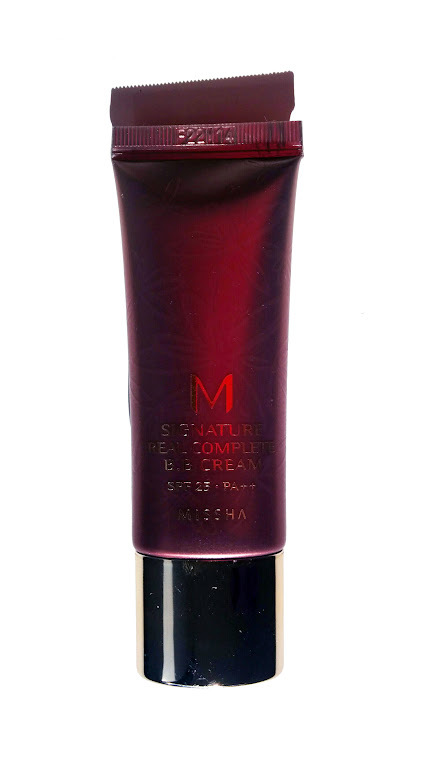 Missha's Signature Real Complete BB Cream is available on Missha's official ecommerce site as well as on Amazon. 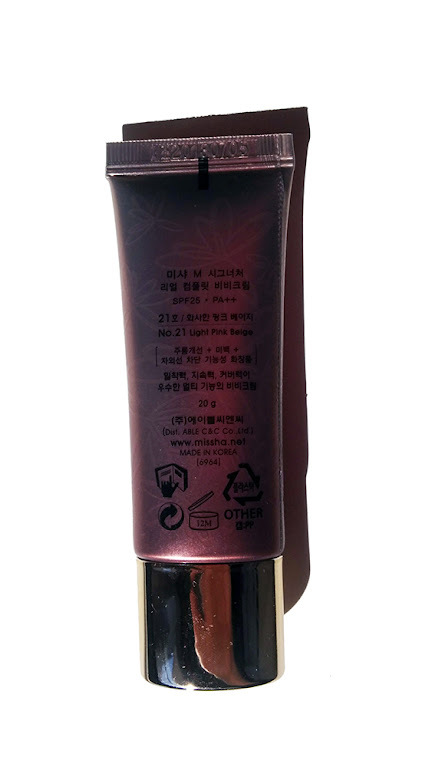 Missha also makes other types of BB creams that are geared towards different needs and ages. Lastly, you don't need much product to get coverage, and so the travel/trial size of the Signature Real Complete BB Cream is actually more than enough! I recommend purchasing the travel size to see if it'll work for you, and luckily Missha also offers travel size for some of their other popular BB creams as well.